Feeling active on your vacation? 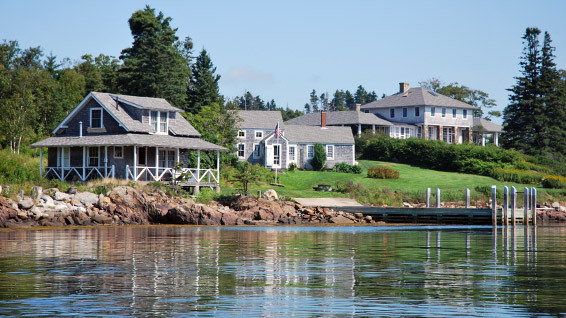 Grab a kayak or canoe and go for a paddle around the rocky coves and beaches of McGee and neighboring Barter Island on Maine's coast. Take a hike or comb the shores in search of small treasures that the ocean deposits on the shores! If you like to swim, plunge into the refreshing salt water and then warm up in the waterside sauna or outdoor shower. Want to relax? Sit back in a rocker from the 1920’s on the huge, wrap-around porch with 180º views of the ocean and neighboring islands included in the vacation rental. You might see an osprey, a bald eagle, a seal, or other wildlife, with little but your own conversation to break the tranquility. You might decide to play the baby grand piano, nap in the hammock, read a book on the porch swing, or explore the many rooms of the historic buildings. Hungry? 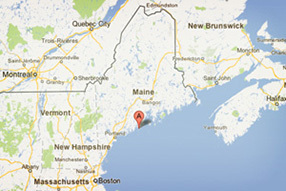 Try gathering food from the Maine coast island. You can fish off the dock, collect mussels from the ocean, pick raspberries and blackberries that grow wild on the island, or take the easy route – buy lobsters from a passing lobster boat. You can work together with your friends and family to create delicious culinary dishes in the newly remodeled kitchen. Want a night time activity? Gather for dinner in the Cook House built in the late 1700s and then retire up to the living room in the Main House. Start a roaring fire to provide the perfect backdrop for board games, reading, and socializing. Or head outside to the porch to watch an extraordinary moon rise or some incredible star gazing!